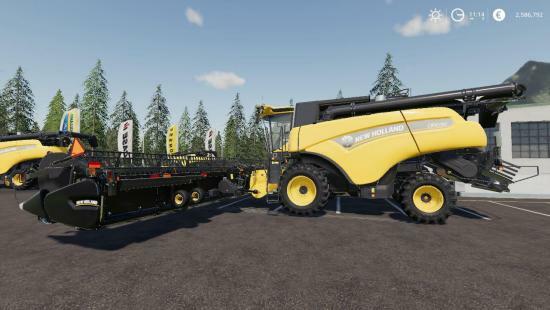 Color, power and capacity choices, faster road speed, faster overloading, changed the main clip distance on the harvester and decals, longer wear and tear intervals, extra beacon lights, new crawler tracks with color selection, new wheeled version added. Sell old version in game, delete the old zip file, unzip the new downloaded file and place the 2 zips into your mods folder. Load the game and enable them in your mod panel.